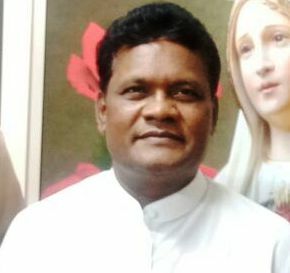 Father Joseph Susainathan of Bangalore Archdiocese has been appointed as the National Chaplain of Cardijn Community India (CCI) for a period of 3 years with effect from 1st January 2018. We place on record our sincere thanks to the Archbishop of Bangalore Most Rev. Dr. Bernard Moras for having permitted Fr. Joseph Susainathan to work as National Chaplain (non-fulltime) of Cardijn Community India (CCI). Born on 14th May 1964, Fr Joe Susainathan was ordained a priest on 15th May 1990. He is the parish priest of Our Lady of Fatima Church, Hosekote, Bangalore. Fr Joe Susainathan is a Cardijn priest. Right from the time of his ordination, he has been the Diocesan Director of YCS/YSM for 9 years; after a gap of some years, he has been appointed Diocesan Director of YCS/YSM from 2016 onwards. He was also the Chaplain of the YCW, Bangalore from 2001 to 2003. Fr. Joe Susainathan has travelled widely to many countries to attend international gatherings. Cardijn Community India (CCI) welcomes Father Joe Susainathan in its fold and is looking forward to working with him to promote Cardijn's spirituality, vision and methodology.